If your HOA is getting too aggressive, what can you do? 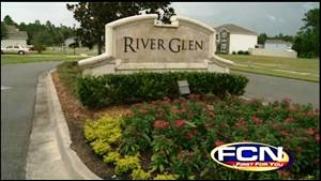 YULEE, Fla. -- It is a deed restricted community, but residents of River Glen say the enforcement of the rules has become very restrictive. "I do understand the purpose of the HOA is to keep our neighborhood clean," said Joel Jenkins, "but I feel they're over aggressive in the letters they send out." Jenkins moved into the Nassau County community in 2008. He said he has lived by the rules, but it is getting more and more difficult. This week, Jenkins received a notice of a $1,000 fine for weeds in his landscape. "I'd be okay with a $50 fee," he said, "The fact of the matter is I don't have weeds." back and now the association has rescinded the penalty. "They actually did agree to rescind the fine," said Jenkins, "What they did is everyone who did not attend the July meeting, they send out fines." What can you do if you feel your HOA is overly aggressive? HOA Attorney Fred Elefant said the HOA cannot penalize you for not attending a meeting; he said it pays to review your covenant. You can vote them out. If you believe there's selective enforcement, you have the right to look at the records to be sure you are not being picked on. Never get personal with the HOA or the HOA board will get personal with you. HOAs are regulated by Florida Statutes. You have a right to file a complaint with the Florida Department of Business and Professional Regulation, as well as the Attorney General. Your last option is to sue the association, but before you go that far, get a clear understanding of your covenant.